US Shipping & Handling only $1.00 per item! Join Club - Send Comments! Men, Women & Kids Toe Socks Club Benefits! Club SUPER Specials Web Page! Save up to $3.00 a pair! Your feet and toes are an essential part of your daily life. Start loving your toes with our special designed toe socks. 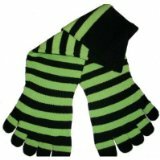 Made of high quality materials, and guaranteed to be the most comfortable "toe socks" you will find. Our Feelmax toe socks are made without those uncomfortable seams and the elasticity of the socks prevents them from sliding off your feet during the day. They fit like a glove –“literally." 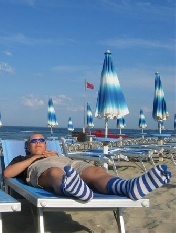 Toe socks “massage” in between your toes, stimulate circulation and keep feet warm and dry all day. Babies feet are already 80% of the shape they will be when aged 20. So in other words 80% of our feet will form during that time. Shoes have a profound impact on the shaping of our feet. The shape of our shoes often doesn’t match to the shape of our feet and unfortunately we don’t always think about that. 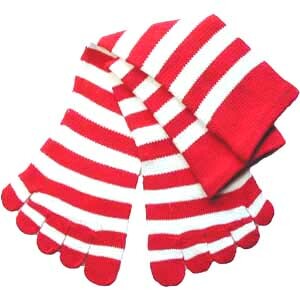 Wearing toe socks helps your feet to stay healthy, by giving your toes the opportunity to move independently and keep them dry in your shoes. Company Information. . . . . Shipping Information. . . . . Guarantees & Policies. . . . .
About Your Order. . . . .